The IT Zombie Apocalypse is here! ⬅ Security compliance: No more drama! Although this article and title are a bit tongue-in-cheek, the reality behind the title is serious. In the average data center, 30% of the servers are effectively space heaters [they had their brains eaten ;-)]. Given that many data centers are strictly limited on power, cooling and floor space, and that power and maintenance are significant costs, this is a big deal. This happens primarily because the staff managing those servers don’t always have a clear idea of what all their servers are doing. Jonathan Koomey is a research fellow at Stanford University, and has done a number of studies on data center efficiency. His most recent study indicates that 30% of the servers in data centers are doing nothing productive. A ComputerWorld article cites an example of a company which eliminated 9,100 physical servers saving 2.5 megawatts of power. Koomey states “Most data center operators can’t even tell you how many servers they have, never mind their utilization.” Anecdotal personal experience from Fortune 500 companies I’ve worked for is consistent with this. Although Google and a few other companies manage their servers in a way that’s highly responsive to workload, this is far from the norm in the IT industry. The effects of this inability to understand their IT environment extends far beyond power and cooling and includes virtual machines and cloud servers. Another area affected by this pervasive lack of understanding is security. A Verizon study indicates that 30% of all intruders come through systems which have been lost track of. You can have the best system in the world for managing your known servers, yet if you don’t know all your systems, you can guarantee that your attacker is looking diligently for those few servers that you have forgotten about – or never knew about. In addition, getting in compliance with security rules is complex, and another Verizon study indicates that 80% of organizations have trouble staying in compliance as their systems and staff change over time. Another impact is monitoring. A study by James Turnbull indicates that 90% of IT organizations have had failures of systems or services they weren’t monitoring. One likely cause of this problem is that they didn’t know they weren’t monitoring those services. Another impact is diagnosing and fixing problems. If you don’t know what all servers you have, what they are doing, and their interdependencies, diagnosing problems is slow. A number of recent highly visible failures in airline and other industries have been caused because they didn’t realize the weaknesses of their environments – that is, they didn’t fully understand their environments. Given the complexity of modern IT environments, it’s no wonder that people make mistakes. There are lots of servers (real, virtual, or cloud) providing lots of services, which are constantly changing, managed by a staff that’s often changing as well. 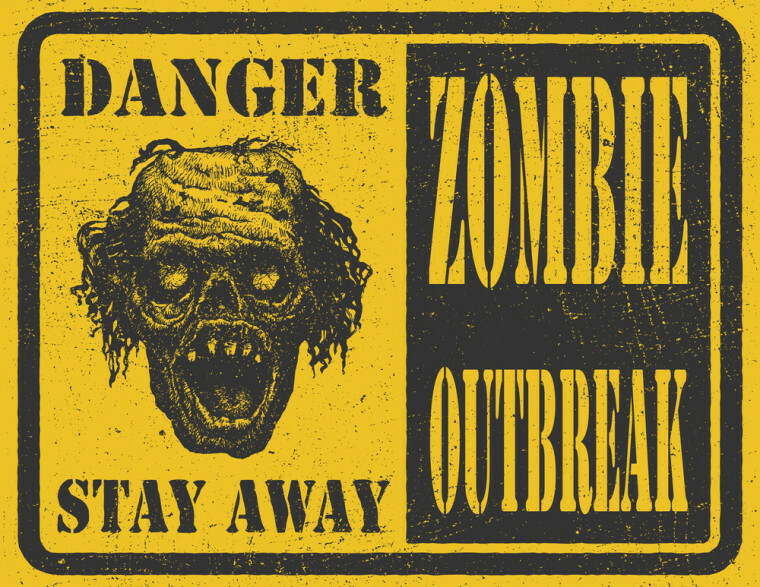 One approach to getting rid of zombie servers (and these other effects) is to add a bunch of new tools, then write the scripts and processes to tie them all together. Unfortunately, that would add complexity to your environment, and would likely require your staff writing tools to tie all these together – costing you time and money. A better approach would be to use a single tool designed to help you understand your servers, services, IP and MAC addresses, dependencies, switches and switch connections, and integrates monitoring and security alerting from the ground up. If you work in IT, and you have these kinds of concerns, then you might look into the Assimilation System Management Suite – designed for all these issues (dependencies, monitoring, security, and networks) from the start. We help you manage IT complexity, and transform your security from high drama to teachable moments. We help you manage IT complexity, and transform your security from high drama to teachable moments. We hate SPAM as much as you do, and will not sell your information to anyone. How useful is the Assimilation CMDB for security? Assimilation Versus Orchestration Tools Like Chef or Puppet?